searchmain menuBosun´s LogHome Sweet Home! If you have ever listened to the VHF radio weather in BC then you´re hear the name Merry Island. 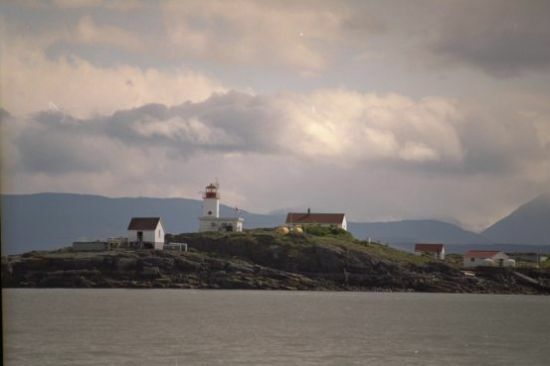 One of the better known lightstations in BC, not only is it one of the standard reference points for marine weather - it also forms the easternmost reference for the delineation between Victoria Coast Guard Radio and Comox Coast Guard Radio territories. It also happens to be directly out from where our CCGA Boat is based. The island itself (not the lightstation - which is located on its southern tip) is for sale. Our Unit has been given the unique opportunity to meet with the Current owner and tour the historic cabins on the island along with some members of the Sunshine Coast Museum. Further, we have been given the fantastic opportunity to take away and sell (to help raise funds) anything from the cabins that the museum isn´t interested in. So - of Course - we´re there! I´ve never actually been ashore there - although we know the lightkeepers well - they are grand supporters and friends of the unit. So I´m really looking Forward to the trip. I´m currently the duty coxswain so I can´t venture too far inland (must be ready for a call being the long weekend and all) but I´m sure we´ll get a chance to have a good look around nonetheless. I´ll post tomorrow About what we find and where and when the sale of an interesting items will take place - most likely coincident with our new vessel dedication on Sept 17th. PS: Happy Birthday to the Province of Saskatchewan - 100 years old today.